I know two people murdered. My step mother-in-law nearly three years ago by knife. A teenager attacked. The killer caught. Still justice pends. And a Sailor (along with thousands of others) 14 years ago today by airplane. Obsessed, committed enemies attacked. The killers dead. The mastermind dead. Still their likes come after us. Today, communities, towns, and cities--coast to coast--will hold "9/11" Memorials. As it should be. 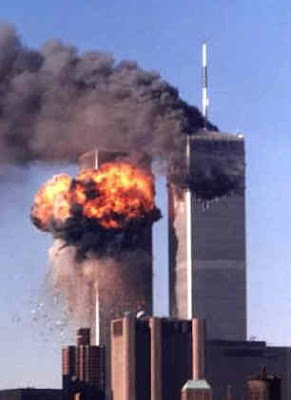 Countless newspapers, magazines, Internet blogs, and TV news programs will remember "9/11." As they should. And far more famous and eloquent writers--with all sorts of impressive credentials, distinguished awards, and professional accomplishments--than I will recall the tragedy from a macro perspective; the temporary crippling of our nation, and the world. And that is okay; it is necessary. Some writers and commentators will innocently skim over or completely overlook the micro. Still others will intentionally snub the micro--as to not rile America's anger as she reflects, remembers, and continues to heal--for no other reason than to promote a twisted political agenda. That is, they will deliberately work to just "let the sleeping dog lay." But the micro--the human variable--is really all that matters. In fact, stirring up the "micro" is what will ensure no one ever forgets, ever, the shock of pure horror and the pain of nearly inconsolable anguish and grief. And remind our leadership and countrymen to remain alert and on-guard--to protect the homeland and Americans abroad. For me, "9/11" was personal; on many fronts. And my purpose--my mission--today is to ensure no one ever forgets that it was personal for everyone who lost a loved one--family member or friend--that awful day and in the days that followed. American Airlines Flight 77--with cockpit controls resting in the filthy hands and warped minds of Muslim extremists--inexplicably changed course; it headed toward Washington, D.C. As it turned out, the Pentagon. Flying well below treetop level, once a friendly airliner now a hostile missile, it--without warning--slammed into the side--and ripped toward the heart--of America's defense headquarters. It was 09:37 on Tuesday morning, 11 September 2001. Eight years ago today, the Arlington, Virginia, landmark recognized as the world's most powerful iconic symbol of military might was the target of one of four civilian commercial passenger jets--the big tin birds--turned into weapons of mass destruction against America. The attack--SHOCKING and UNBELIEVABLE--left us momentarily stunned--incoherent. Our enemies cheered and celebrated--they had wounded Goliath. But their partying would be short-lived. For our wound they would pay, and pay big time, having grossly underestimated the wrath of a bleeding, angry, and incredibly powerful giant. And their hell is not over yet. In holes they still hide. The unprovoked, surprise attack was surreal. For those who did not already know it, it made a defining worldwide statement: the modern battlefield has no boundaries--it is nonlinear. And though the term "nonlinear" says it all--most civilians never considered the possibility of finding themselves in the middle of a war. Welcome to 21st century warfare--without rules; at least as waged by our enemy. Our enemy has one objective--kill as many western civilians/infidels as possible. By whatever means available. Men, women, and children--regardless of age, are fair game. 9/11 was testament they were serious, and determined. Make no mistake, they continue to be a serious, dangerous threat to our way of life. Excluding the fifty-nine innocent passengers on Flight 77 (who gives a damn about the worthless lives of five miserable terrorists! ), 125 souls perished in the Pentagon; including fifty-five of America's finest men and women--volunteers--patriots--all clad in an American military uniform. Scores more were injured. 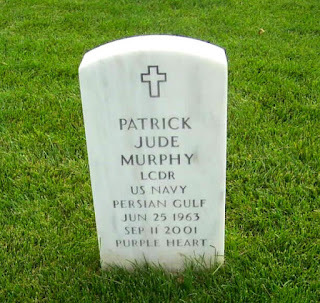 Among the dead military was a Sailor named Lieutenant Commander Pat Murphy--a native son of Flossmoor, Illinois--a small village of 3.5 square miles in south suburban Cook County that, at the time of Pat's death, claimed a populace of a smidgen more than 9,300. More than likely, many in the village knew Pat. 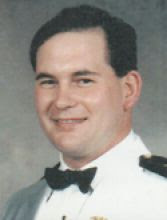 Fifteen years earlier, after completing course work for a Bachelor of Science in Chemical Engineering and finishing a demanding Naval ROTC program curriculum, Pat Murphy was commissioned an Ensign in the United States Navy at the University of Mississippi--home of the Ole Miss Rebels. Yes, Hotty Toddy!, Ole Miss alum. After commissioning, Ensign Murphy, having breezed through the rigorous screening and interview process, reported to the Navy's challenging nuclear power training program. Many a talented officer is not selected for nuke power; it is reserved for the elite. That Pat was among the chosen, excelled, and subsequently assigned to nuclear-powered submarines says plenty about his God-given abilities and skills. He served among a rare breed. Pat Murphy was a smart guy. One of those types in the military that his less-gifted peers--and undoubtedly with a bit of envy--refer to as a "ten-pound brain." And other intellectual inferiors joke that the only reason these extraordinarily bright people have a body is to carry their brains around. Only the "non ten-pound brainers" see the humor. Yes sir, Pat Murphy was one smart guy. And an all-around pleasant, stand-up man. A gentleman. It surprised no one that Pat did well in the fleet. But after attaining the rank of Lieutenant and completing his obligatory active duty service, he opted to resign his regular commission, accept a reserve commission--to "RE-Serve" his country, as Vice Admiral John Cotton, U. S Navy (Retired) liked to say when he commanded the Reserve Force, and return to civilian life to pursue a career as a chemical engineer. Pat Murphy had big plans--among them was starting a family. Pat married his college sweetheart and the Murphy's eventually welcomed two children--sons--to the world. For Pat, coming from a broken home, family meant everything. He was determined to give his children that which he did not enjoy--a stable home with a loving mother and father. He did exactly that. Pat was a great Dad and was close to his boys. Life was good for the Murphy's. And then the unimaginable happened. The proverbial lightning bolt struck--on a crystal clear day in Arlington, Virginia. A "RE-Serving" officer for five years, it was just his extreme bad luck to be on his two-week annual training, working with Navy Command Center in the Pentagon, on that dreadful day--the day today known simply as "9/11." A day, that anyone of age who remembers, recalls exactly where they were and what they were doing while the land of the free nervously watched and helplessly waited for the next commandeered airliner to strike. The World Trade Center Towers; the Pentagon; a field in Pennsylvania--if not for brave passengers, the Capitol; no one knew if more were coming or not. Finally, the skies declared clear, a terrified nation caught its breath. Amid devastation and chaos, it took a few days before official casualty lists--Department of Defense or otherwise--were released to the public. Accuracy superseded speed; of course. On Friday, 14 September, while scanning the Pentagon's list looking for familiar names, I happened upon "Lieutenant Commander Patrick Murphy." My heart sank. 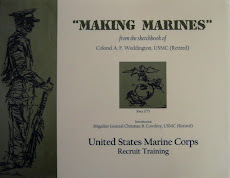 You see, I knew a Patrick Murphy at Ole Miss in 1986 while serving as the Marine Officer Instructor on the Naval ROTC Unit Staff. And though not an uncommon name I had an unsettling gut feeling it was the same Patrick Murphy. After attempting to confirm suspicions through sundry sources without success, I shared my feeling and concerns with my wife--a close friend of Pat's wife. After a few moments of discussion we decided to call the Murphy home. Linnea's call was answered. She identified herself and explained the purpose for phoning. The gentleman on the other end identified himself as John, Pat's brother, and confirmed it was indeed the same Pat Murphy on the casualty list. John was polite--of course struggling with emotion--and said he was "running interference" and would be happy to take a message. As he repeated my wife's unusual name and began spelling it, Pat's wife overheard and said, "Wait, John, I will take that call." Use your imagination--it was a tough, tearful conversation. The Murphy household was devastated. A distraught wife laboring to comprehend reality. Their two young sons--one 6, the other 3--too young to understand why Dad would not be coming home. Even children, in their own way, must cope with the fact life is not fair--heartbreaking. Now, along with thousands and thousands of other families devastated on 9/11, the Murphy family was reeling from shock, excruciating heartache, asking the rhetorical question, "Why? ", and gradually coming to grips with their new lives--all whilst trying to figure out how they were going to take even a small step forward. Pat's wife, along with more than 1,600 others, lost her spouse (partner)--her lover. The boys were among more than 3,000 children who lost a parent--their Dad was gone. And all were facing the same gut-wrenching circumstances--the overwhelming challenge of how to put their instantly shattered lives back together. Somehow they did. 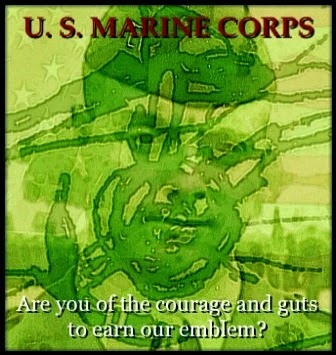 Yet scars remain--they will for life. My wife and I remain friends with the family Murphy. She is in a good place--though she misses Pat every day. Once boys are developing into young men, old enough to know their Dad, whom Mom continues to work hard to keep "alive," was one hell of a man--a son, a brother, a husband, a father--"Dad," a friend, a Sailor, a shipmate, a patriot and most telling of his character, a hero. Pat's name, and sacrifice, is preserved as part of the Pentagon Memorial--opened on this date last year--honoring the 184 good souls who died either in the Pentagon or aboard the airliner. 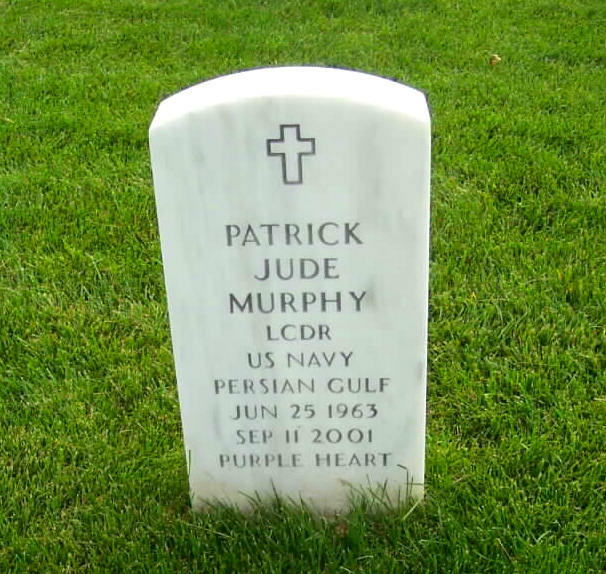 Lieutenant Commander Patrick Jude Murphy, United States Navy, today rests peacefully. Honored in Arlington National Cemetery--a greener and more reverent pasture there is not for our country's best and bravest. He rests among good--the best--company in the protective ranks of a formation. 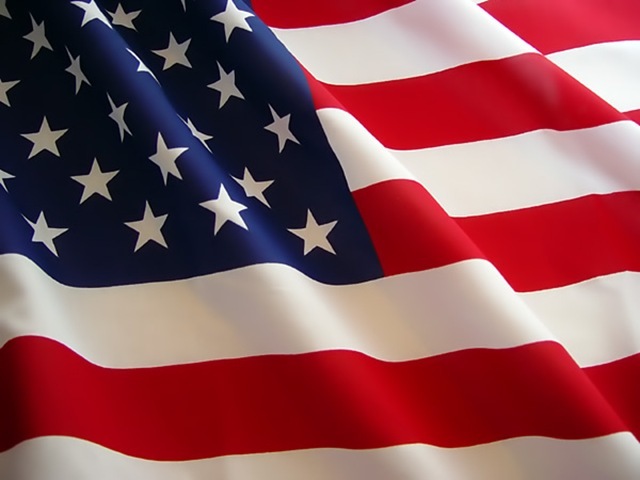 Amid brethren heroes of America he is safe--forever. "Pat, eternal 'Fair Winds and Following Seas.' Your shipmates are ever vigilant on watch." ..............Clip....................Clop................is the repetitive and haunting sound of hooves striking asphalt reverberating through the cemetery as a horse-drawn caisson laden with a flag-draped coffin, and accompanying burial detail, weaves its way through Arlington National Cemetery. The journey - escorting a veteran to their final resting place. "Mourning March," if you will, is repeated over and over again; daily. The sights and sounds of the traditional procession are spine-tingling. And even on the hottest and most humid of summer days, a glimpse of the detail, or even the sound of hooves, will send an ice-cold chill through your body; the shiver reflex guaranteed. If ever happening upon the somber ceremony, "brothers" laying a "brother" to rest, take the time to pause and respectfully watch - to honor a warrior. It is moving...moving beyond words. 1. In response to numerous queries, a "black shoe" is a surface (and sub-surface) warfare Sailor. That is, not an aviator. 2. A year or so after first posting this commentary one of the Murphy boys died in an awful accident. He rests alongside his father. 3. Two years ago, to mark the anniversary of the attack, my wife and I decided to fly coast to coast, east to west, on Sunday, 11 September 2011 - 9/11/11. It was a sobering trip - uneventful but memorable. 4. This year, at 09:37 (06:37 PST), I will toast, salute, the 9/11 victims - their families, too - with a shot of single malt Scotch. May their sacrifices not be in vain. God bless the United States of America. 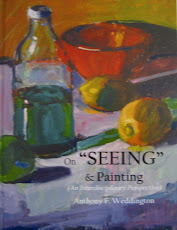 Col. Weddington - I have just found your write up about Pat Murphy and enjoyed it thoroughly. I knew Pat as a teammate on the Ole Miss Rugby Club. A great guy. I make it may obligation as a teammate and as a fellow Murphy to remind my sphere of influence of Pat's existence every 9/11. We also have had the utmost respect and remembrance of Pat out our yearly rugby reunions. Your recollections of Pat are similar to mine. I recall him studying for an exam in the back of an open pickup truck as we traveled to Starkville for a rugby match! Thank you for keeping his memory alive. As an aside, my father was a "black shoe" at Ole Miss as well, having graduated in 1960. 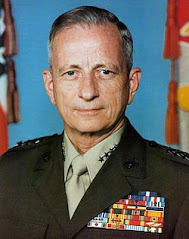 He was Naval aviator who also had two tours in the Gulf of Tonkin as the CIC Officer on the U.S. Bon Homme Richard. He retired at Lakehurst Navel Air Engineering Center as a Commander in the late 70's. He passed in 2007.